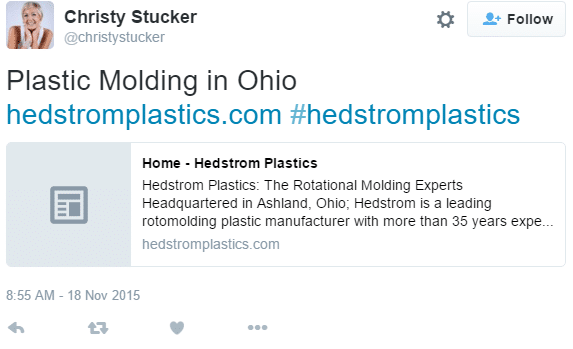 Hedstrom Plastics and its subsidiaries provide plastic molding services nationally. Starting Rank 15 & 18 for national terms. $8+ per click suggested bids. Went from bottom of page 2, to top of page 1 organically. High competition, $2.50 to $8.50 suggested bid per click. 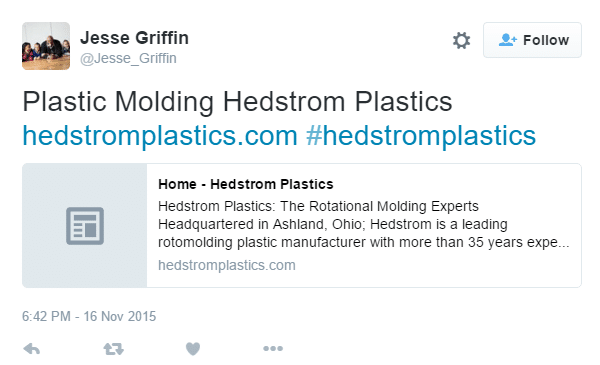 Hedstrom is competing for national business and keywords such as "plastic molding companies" and plastic dumpster; in such an industrial niche, it can be extremely difficult to get social marketing engaged and relevant mentions/backlinks. Both are buying / high interest keywords and are labeled as "High" competition according to Google Adwords Keyword Planner. Buying this traffic alone was costing over $2,500 a month. 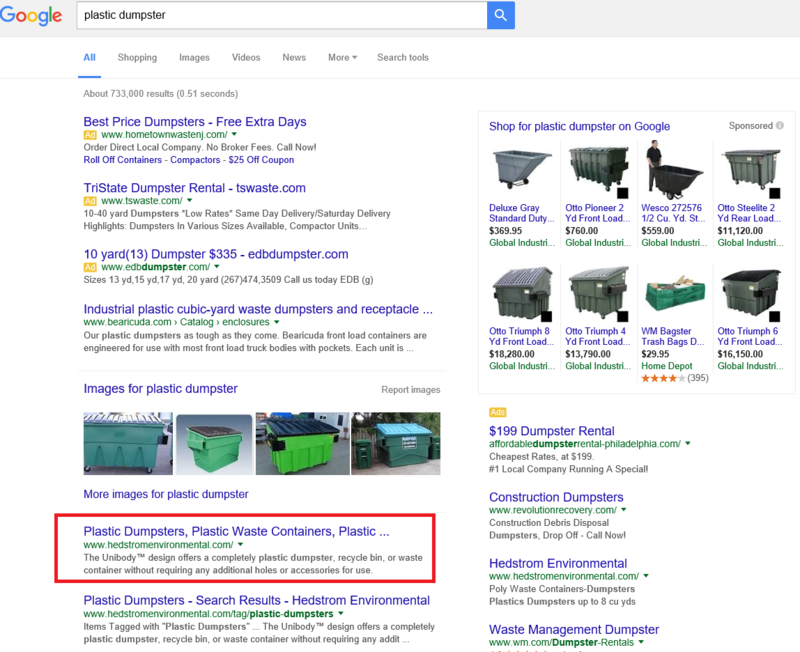 Create a social media marketing campaign to incentivize others to post on social media website such as Facebook and Twitter using the hashtag, keywords and website of Hedstrom and Hedstrom Environmental. Create engaging content related to Plastic Fabrication & Molding and get syndicated on relevant blogs, outlets, and media. Pay Per click terms refocused and tested to maximize budget. Within 5 months organic SEO rankings went from bottom of page 2 to top of page 1, increasing CTR (Click Through Rate), and lowering PPC costs by 15% and increasing website traffic by 380%. The social campaign has ensured the company remains relevant in an ever-changing industry and the aggressive outreach/content promotion has led to winning extremely competitive, National terms.